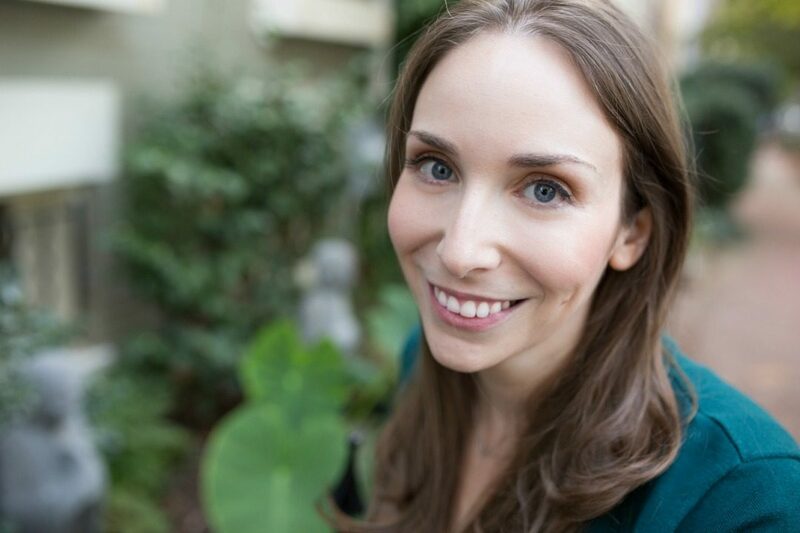 We are huge fans of Jennifer Farley, the face behind the stunning blog, Savory Simple. Jennifer creates approachable and mouth-watering recipes accompanied by gorgeous photos. With a culinary background and training, Jennifer has learned to give easy homemade dishes a gourmet spin. 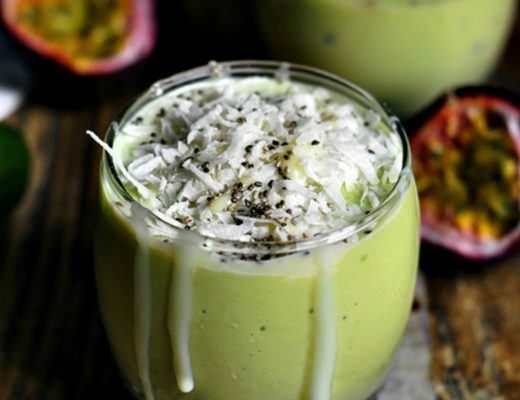 She shows her readers how to effortlessly create fancy food without the stress. In addition to creating amazing recipes, Jennifer is a pro at food photography. EHow, Bon Appetit, Food52, The Kitchn, and Food & Wine have all featured her work. 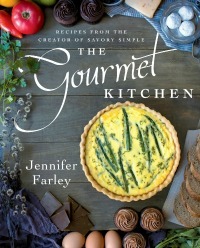 Jennifer’s new cookbook The Gourmet Kitchen will hit shelves on October 25th. You can pre-order her book at Barnes & Noble, Amazon, Books-A-Million, Indie Bound, and Simon & Schuster. 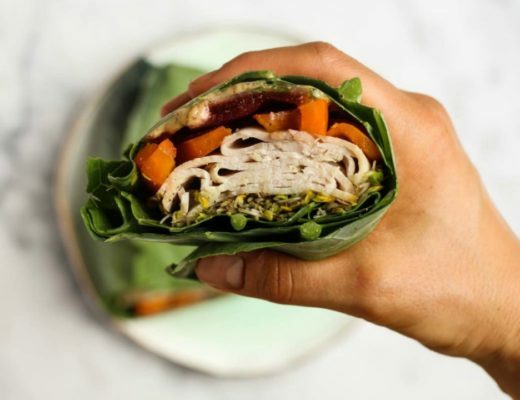 We caught up with this incredible recipe developer and food photographer to get the inside scoop on how to create gourmet food without the frills. Anna Curran: Talk to us about your creative vision. 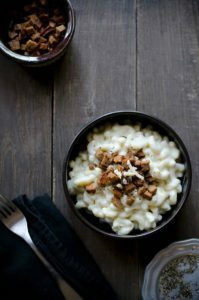 You have a section on your your Savory Simple blog named Umami. What does this mean to you and what do you include there? Jennifer Farley: My tagline for the site is “everyday gourmet recipes for the home cook,” and that pretty much sums up my creative vision. Alongside that, I try to go with beautiful aesthetics to make the food look especially inviting. The Umami section of my site is where I put all of the extra goodies so people can find them in one place. Anna Curran: How do you think about ingredients? What are some of your favorite things to keep on hand in the kitchen? Where do you start when you are developing a recipe? Is there anything you’ll never use? Jennifer Farley: I focus on how flavors balance, and I make sure recipes have a variety of textures. Some of my favorites include vanilla, garlic, and cardamom. I will never use pickled ginger! It’s like biting into a bar of soap. I’m not a fan of ginger in general, but I’ll use the powdered version in small quantities. Anna Curran: Can you give our readers some tips for home cooks to get gourmet look when they are cooking their favorite recipes at home? Jennifer Farley: Don’t rush. Take some extra time to make sure that the sides of the bowls are clean and that the muffin batter is scooped evenly. If you’re working with dough (tart, pie, cookie, etc), always chill it before baking. This allows the butter to firm up so that everything will hold its shape in the oven. 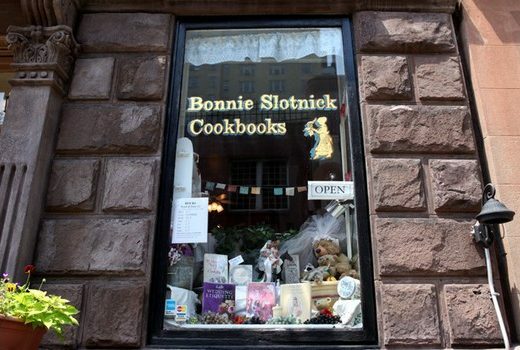 Anna Curran: What inspired you to write your cookbook, The Gourmet Kitchen? How is your book different from others that are out there? What will our readers love about your first cookbook? Jennifer Farley: Honestly, I had no plans for writing a cookbook, but I was approached by Simon & Schuster, and I’m a big believer in going with the flow and taking opportunities as they arise. I think that if people love the recipes on my blog, they’ll love the book. I use the same aesthetic, the same bold flavor pairings, and the same techniques.